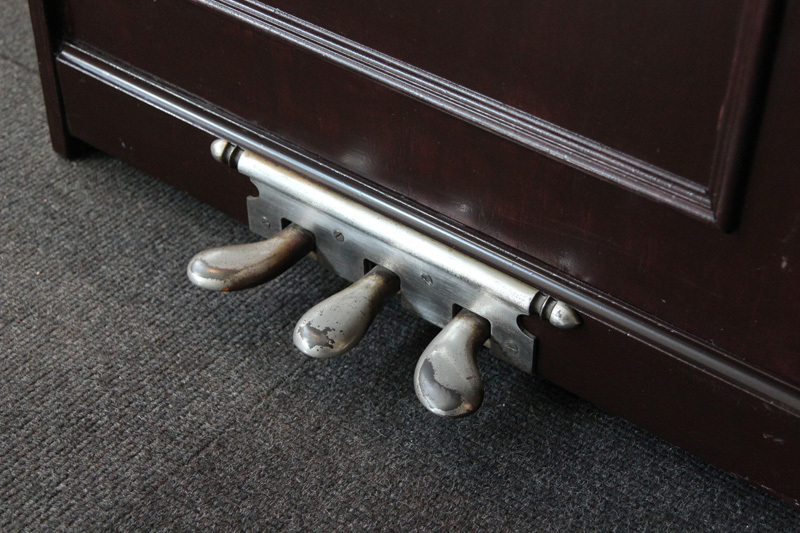 The cabinet portion of this work was constructed with a combination of parts from a piano manufactured in the 1930's, as well as newly fabricated components. 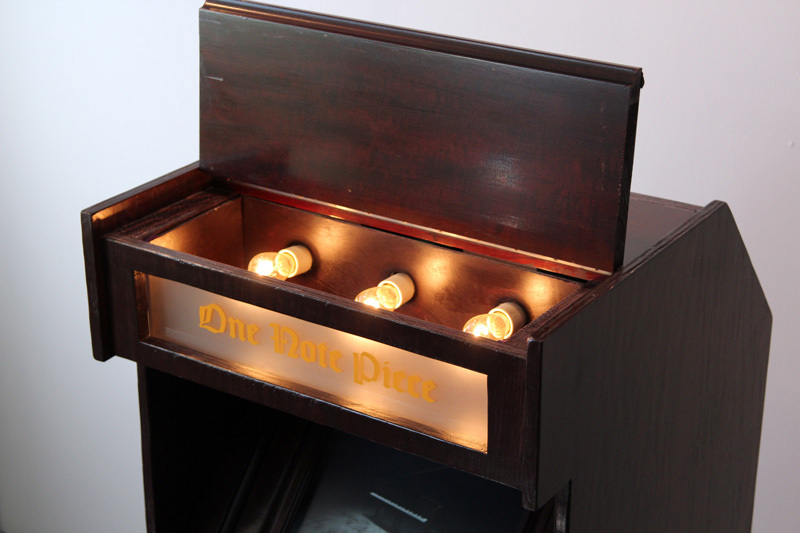 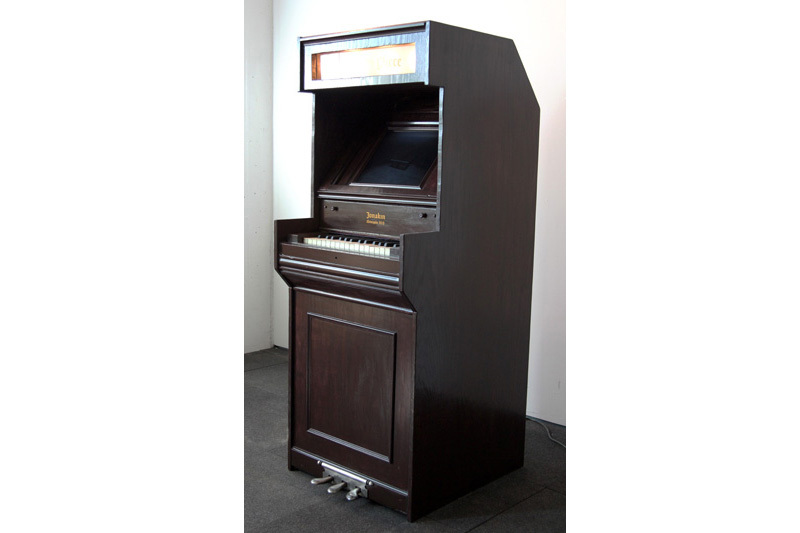 It houses a computer which runs a physics based simulation that is triggered when a viewer presses a piano key. 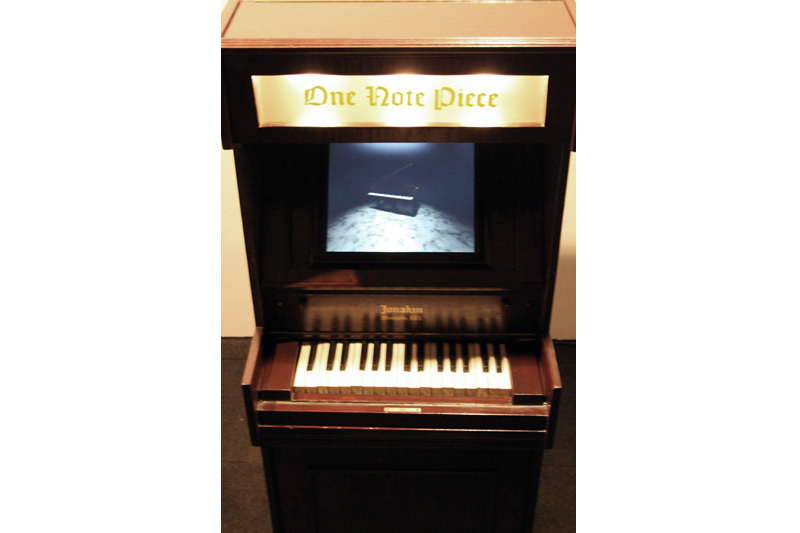 As the simulation runs, a boulder smashes a virtual piano. 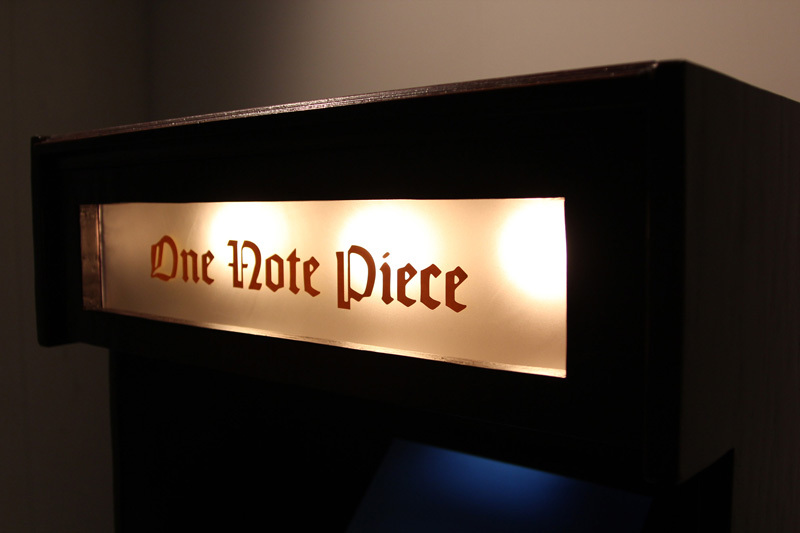 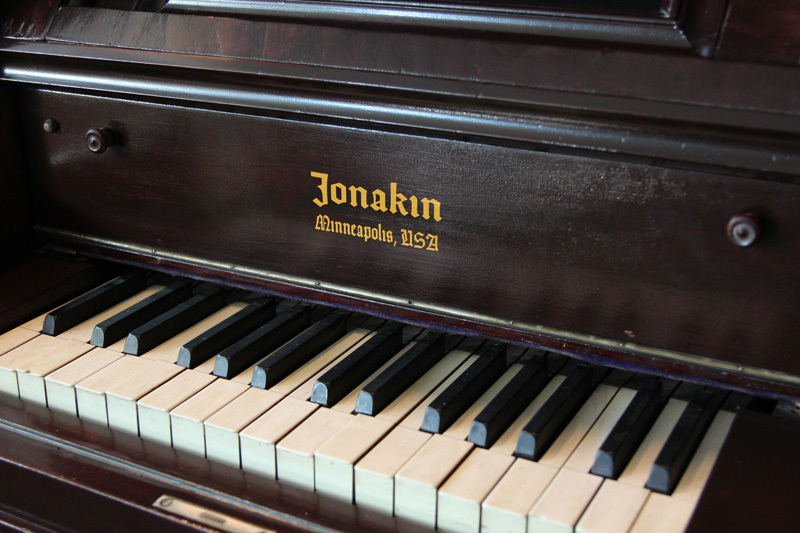 Due to programming parameters, the virtual piano is never destroyed the same way twice. 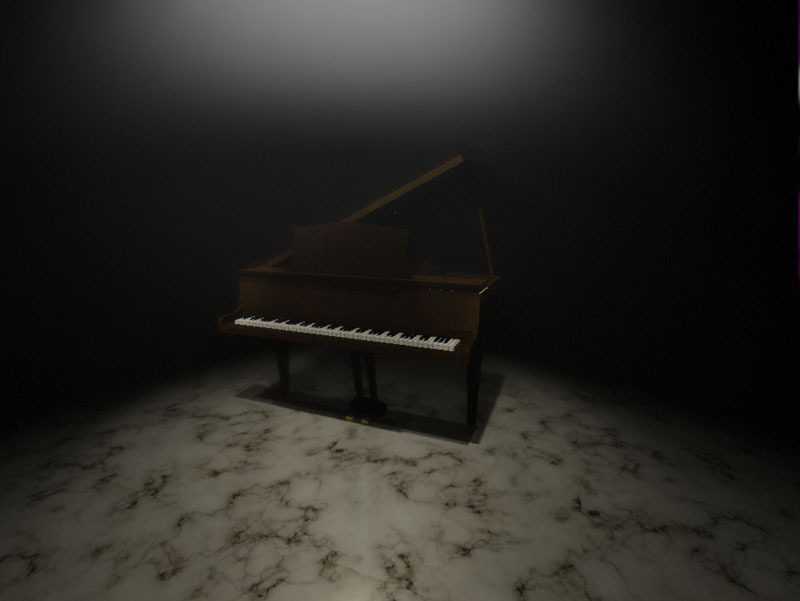 Screenshot from physics based simulation before the boulder drop. 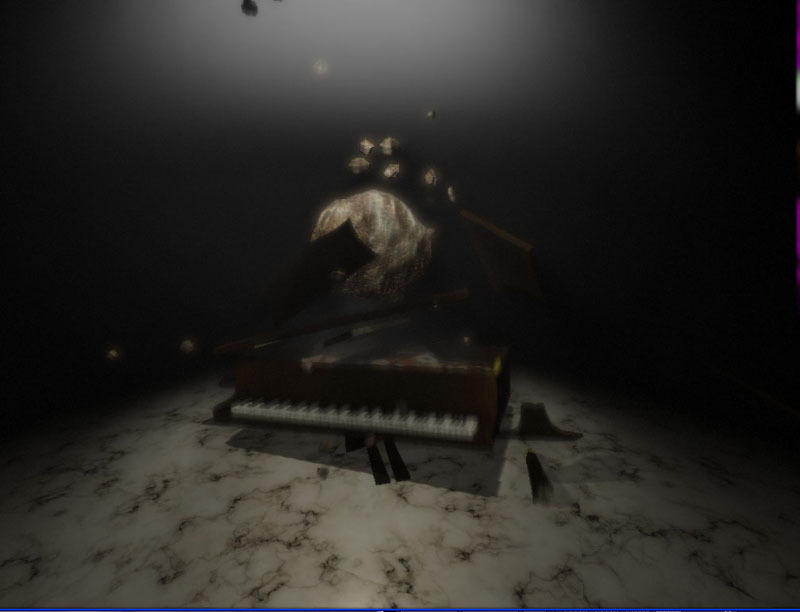 Screenshot from physics based simulation while piano is being destroyed.